The Irish tourism industry is in a state of rude good health. Presently there are 235,000 employed by the industry and there would be more if additional skilled employees were available. 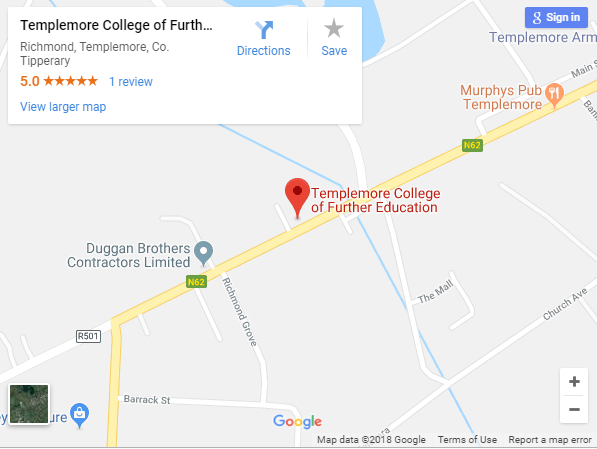 Skill shortages are a problem right across the hospitality sector and Templemore College of Further Education, as a vocationally orientated institute, has been providing well-educated employees to the sector for almost two decades. “We specialise in supplying high-quality employees to the tourism industry with emphasis on building each students confidence and ability to express themselves with classroom discussion and practical learning, “says Dr Noel Colleran, College Principal. “The college is a centre for the EU Erasmus Programme, which is aimed at increasing the employability and language skills of students. Our tourism students now have an opportunity for all expenses paid work-experience abroad, with last year’s placement having been a very successful one to the Canary Islands. 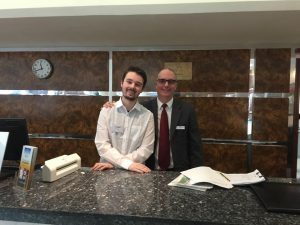 “Working in the tourism industry outside of Ireland gives our students a new and valuable perspective on operations within the hospitality sector,” says, Dr Colleran. So, if you are a school leaver, mature student, or a community activist interested in promoting locally based tourism, Templemore College provides the necessary skills to further your ambitions. A one-year, full-time course in business with tourism begins in Sept 2018. Details are available by telephoning 0504-31007, visiting www.tcfe.ie or emailing info@tcfe.ie.